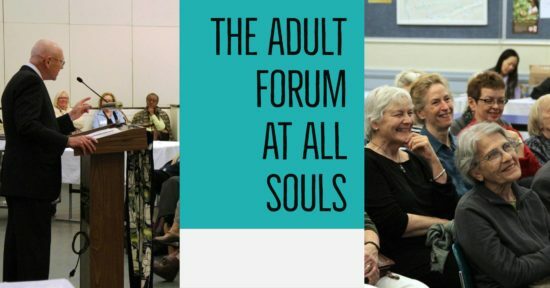 All Souls Adult Forum series on Climate Change From the Perspective of Religious Traditions. November 18th: “Indigenous American Religious Traditions and a ‘Wholistic’ Ecological Vision” with Center for Earth Ethics Director: Karenna Gore, Original Caretakers Program Director: Mindahi Bastida and Scholar in Residence: Geraldine Patrick. Join us for this series of thought-provoking explorations of the valuable perspectives provided by religious traditions that may help motivate us to address this issue as a serious moral crisis requiring our most creative and imaginative capacities to address.